One year on and support for Co-cars ‘hire by the hour’ car network in Newton Abbot continues to grow. Members can book 24/7 online or via smartphone and use a smartcard and PIN to open the car, or any of the other cars in the SW. From just £3.75 per hour to hire members save thousands on the cost of a car, road tax and insurance. 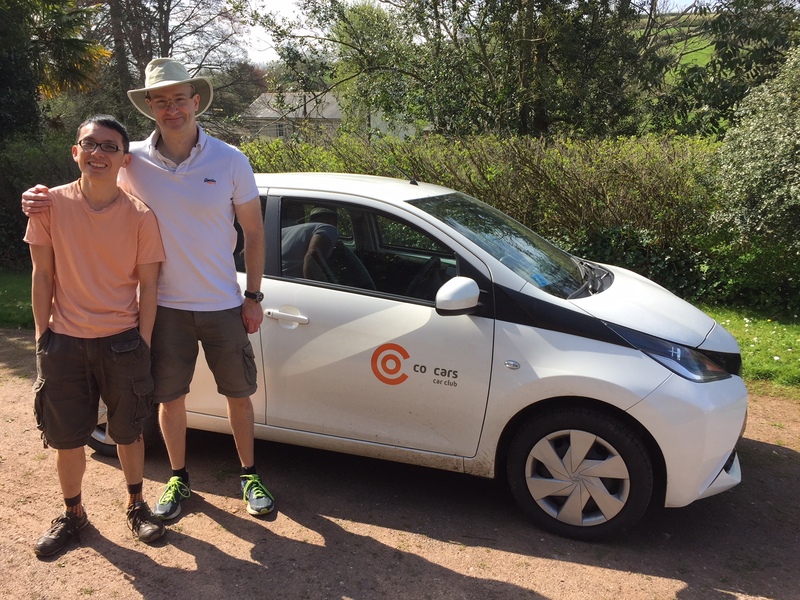 Co-cars launched the car club to provide members with hassle free and cheaper motoring, as they only pay for a car when they want to use one. Individual and household membership costs just £25 per year, while business membership is free. Each hire costs from just £3.75 per hour, with discounts for daily hire, plus 18p per mile. Fuel, insurance, tax, maintenance and emergency cover are all included so there are no hidden costs. The Newton Abbot car is based at the railway station and this enables people to connect their train journey with a station based ‘hire by the hour’ car as part of the expanding network. Mark Hodgson, Founder and Managing Director of Co-cars said: “Co-cars offers its cars for hire to members by the hour with pick-up and return to the specially-reserved parking bays. Co-cars has made the whole process of car sharing exceptionally easy and worked hard to streamline the process down to a Click, Swipe and Drive. Members simply book a car by clicking a PC, tablet or mobile phone, then swipe their membership card against the windscreen to unlock the car – and drive off. It couldn’t be easier! For more information, go to www.co-cars.co.uk, call 0345 345 2544 or email drive@co-cars.co.uk. Co-cars is a growing, not for profit, social enterprise car club based in Exeter, which has been running for over 12 years, covering Devon, Cornwall, Dorset and Wiltshire.